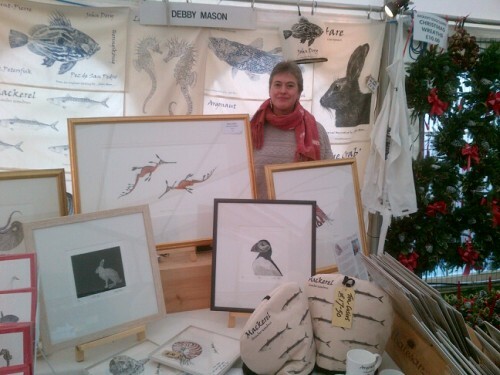 I will be at the Mount Edgcumbe Christmas Fayre on the 8th and 9th of December 2012, from 10am to 5pm (4pm on Sunday). Back for its ninth year, the Christmas Fayre will be better than ever! Do come and see me if you are about, they have loads of festivive events, stalls & cookery demonstrations. Plus! There will be a visit form Santa on his magical sleigh at 3pm both days at the House. This year they have special ferries running from the Barbican directly to Mount Edgcumbe. In addition to the schedule Cremyll Ferry which runs every half hour from Admirals Hard in Stonehouse directly to Mount Edgcumbe (8 mins) Plymouth Boat Trips will be running trips from the Barbican at 10.45am, 12.15pm, 1.45pm and 3.15pm with return trips at 11.15am, 12.45pm, 2.15pm and 3.45pm. It’s never been easier to get to Mount Edgcumbe or find those special Christmas gifts! There’s also lots of free parking on the estate (follow the directions of parking staff) with a mini bus (operated by the Friends of Mount Edgcumbe) shuttling around the park to drop off at the House, parking areas and ferries.